Monday December 4th, 2017 – The Final Edition of The Monitor…for now. This week’s edition of The Monitor will be the last until at least the summer of 2018. After more than 14 years on the air and hundreds of interviews, I am forced to take a break from the show. Listen to last week’s show for more detail. This entry was posted in 9/11, CIA, Civil Rights, Classified Information, Cyber Surveillance, Hypocrisy, Intelligence, News And Analysis, NSA, Obama, Patriot Act, privacy, Propaganda, Ray McGovern, Russia, Sept. 11, Whistleblowing and tagged Intel, NSA, Obama, The Constitution, Trump, War, William Binney. James Carden is a Washington, DC–based journalist focusing on US foreign policy. He is also the executive editor of the American Committee for East-West Accord, and a contributing writer at The Nation. He has served as an Advisor to the US-Russia Presidential Commission at the US State Department. He has contributed articles on US-Russia policy to The American Conservative, The National Interest, The Moscow Times. He graduated from the Johns Hopkins University School of Advanced International Studies (SAIS) and the Moscow State Institute of International Relations. His most recent articles include:Why Does the US Continue to Arm Terrorists in Syria? and Round Up the Usual Suspects, It’s Time for a Show Hearing. You can read his articles for The Nation here. Born in London and raised in County Cork, Andrew Cockburn moved to the U.S. in 1979. He is a journalist, an author and a filmmaker. He is also the Washington editor of Harper’s Magazine. His books include: Dangerous Liaison: The Inside Story of the U.S.-Israeli Covert Relationship and The Threat: Inside the Soviet Military Machine. His most recent book is Kill Chain: The Rise of the High-Tech Assassins. His latest articles include The New Red Scare Reviving the art of threat inflation; and Acceptable Losses Aiding and abetting the Saudi slaughter in Yemen. You can read his latest articles for Harper’s here. This entry was posted in Arab World, Armed Forces, CIA, Classified Information, Corporations, Cost of War, Department of Homeland Security, Donald Trump, Empire, FBI, FISA, Hypocrisy, Intelligence, Iran, Iraq, ISIS, Islamic State, Israel, Media, News And Analysis, NSA, Obama, Politics, Propaganda, Putin, Radio Shows, Russia, Saudi Arabia, Syria, Yemen and tagged CIA, Donald Trump, Empire, Intel, News, Obama, Politics, Russia, Saudi Arabia, Yemen. Mark Klein is the whistleblower who exposed AT&T’s participation in the National Security Agency’s illegal warrantless spying on millions of Americans. Klein grew up in New York City and in 1962 entered Cornell University’s School of Engineering. As the 1960s exploded in social upheaval he was moved with his generation to investigate society and graduated in 1966 with a B.A. in history. Later he returned to technical school, obtaining certificates in electronics and computers which led to employment in computer manufacturing in the 1970s. He was hired by AT&T in 1981 as a communications technician and worked for the company for over 22 years. In 2003 he discovered the illicit National Security Agency (NSA) installation in San Francisco and in 2006 he tried to bring it to public attention, becoming a witness for a lawsuit against AT&T brought by the Electronic Frontier Foundation. Retired since 2004, Klein now lives in the San Francisco Bay Area with his wife. The New York Times and ProPublica published “AT&T Helped U.S. Spy on Internet on a Vast Scale,” which states: “The National Security Agency’s ability to spy on vast quantities of Internet traffic passing through the United States has relied on its extraordinary, decades-long partnership with a single company: the telecom giant AT&T. Henry Rosemont JR is distinguished professor emeritus at St. Mary’s College of Maryland and visiting scholar of religious studies at Brown University. He also spent three years in China as Fulbright Senior Lecturer at Fudan University in Shanghai. Among his books are A Chinese Mirror, Rationality and Religious Experience, Is There A Universal Grammar of Religion? (with Huston Smith), and A Reader’s Companion to the Confucian Analects. He has edited and/or translated ten other books, including Leibniz: Writings on China (with Daniel Cook) and with Roger Ames, The Analects of Confucius: A Philosophical Translation. His latest book is the recently released Against Individualism: A Confucian Rethinking of the Foundations of Morality, Politics, Family and Religion. See video of his talk at the China Studies center at Saint Vincent College. This entry was posted in AT&T, China, CIA, NSA, Whistleblowing and tagged AT&T, China, CIA, NSA, Whistleblowing. Cora Currier is a journalist with The Intercept. She focuses on national security, foreign affairs, and human rights. As a reporting fellow at ProPublica, she covered national security and finance. Her work has been published in Stars and Stripes, The Nation, Columbia Journalism Review, Al Jazeera America, and many other outlets. Before joining ProPublica, she was on the editorial staff of The New Yorker and a lead researcher on several books of history and politics. She lives in New York. “Researchers and reporters had long counted the total number of prisoners who cycled through Guantanamo at 779, but the Senate intelligence committee’s report on CIA torture revealed that there was one more previously unknown detainee. Ibn al-Shaykh al-Libi, also known as prisoner 212, was held at a secret black site at Guantanamo Bay, according to the report, bringing the total number of detainees to 780. Marcy Wheeler grew up bi-coastally, starting with every town in New York with an IBM. Then she moved to Poway, California, home of several participants in the Duke Cunningham scandal. Since then, she has lived in Western Massachusetts, San Francisco, Salt Lake City, Ann Arbor, and — currently — Western Michigan. She got a BA from Amherst College, where she spent much of her time on the rugby pitch. A PhD program in Comparative Literature brought her to Michigan; she got the PhD but decided academics was not her thing. Her research, though, was on a cool journalistic form called the “feuilleton” — a kind of conversational essay that was important to the expansion of modern newspapers in much of the rest of the world. It was pretty good preparation to become a blogger, if a PhD can ever be considered training for blogging. Marcy has been blogging full time since 2007. She’s known for her live-blogging of the Scooter Libby trial, her discovery of the number of times Khalid Sheikh Mohammed was waterboarded, and generally for her weedy analysis of document dumps. This entry was posted in 9/11, Afghanistan, Armed Forces, CIA, Cost of War, Cyber Surveillance, Department of Homeland Security, DOJ, FBI, Hypocrisy, Intelligence, Iraq, Media, News And Analysis, NSA, Obama, Sept. 11, 2001: Repercussions, The "War on Terror", The Constitution, Torture, War Reporting. Following up on last week’s show, this week The Monitor is all about whistleblowers and the need for them to be able to report violations. Both guests are connected to the newly launched ExposeFacts.org. First up is William Binney and rounding out the hour is Matthew Hoh. Quote: “Not too many people are paying too much attention to this, but under Executive Order 13526, sec 1.7 — this is the executive order that governs classification for the U.S. government — you cannot use classification to cover up a crime, illegality, abuse of any form, or fraud, corruption, waste or embarrassment and a number of other things. And a lot of these things that Snowden exposed were in fact evidence of crimes against the constitution or other laws that existed, statutes in the country. So those things [documents] cannot legitimately be classified under that executive order. This entry was posted in Afghanistan, Arab World, Armed Forces, Assassination, Bradley Manning, Bush, CIA, Cost of War, Cyber Surveillance, Department of Homeland Security, DOJ, Drones, FBI, FISA, Fourth Ammendment, Hypocrisy, Intelligence, NSA, PRISM, Radio Shows, The "War on Terror", The Constitution, Whistle Blowing. The Monitor this week is divided into the usual two segments of interviews. In the first interview with have a National Security and Civil Liberties discussion with Marcy Wheeler and in the second we discuss What the Sino-Russian Gas Deal Says about American Foreign Policy’s Self-Damaging Trajectory with Flynt Leverett. Marcy Wheeler is an American independent journalist specializing in national security and civil liberties. 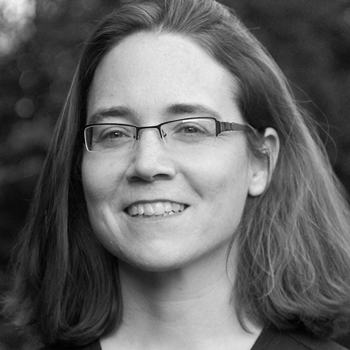 Wheeler publishes on her own site, Emptywheel. She makes occasional contributions to the commentary and analysis section of The Guardian, progressive news site Daily Kos, The Huffington Post, and Michigan Liberal. Between early December 2007 and July 2011 Wheeler published primarily on Jane Hamsher’s FireDogLake (FDL) and prior to that on The Next Hurrah. During United States v. Libby, the trial of I. Lewis “Scooter” Libby, along with other regular press-accredited contributors to FireDogLake, Wheeler reported on the testimony live from the courtroom. In her accounts of the Libby trial, she describes her entries as “not a transcript”. Nevertheless, such bloggers’ eye-witness accounts served as sources of reliable information about the trial for their readers. During the trial, she appeared on camera in video reports posted online on PoliticsTV.com, along with other accredited Libby trial blogger-correspondents such as TalkLeft creator Jeralyn Merritt and FDL creator Jane Hamsher and FDL principal blogger Christy Hardin Smith. Flynt Leverett is professor of international affairs at Penn State and co-author of Going to Tehran: Why America Must Accept the Islamic Republic of Iran. 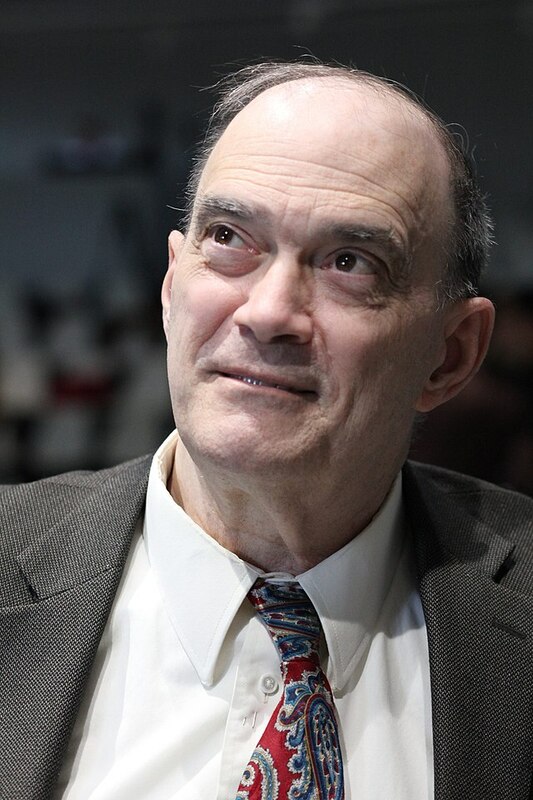 He is part of the founding faculty for Penn State’s School of International Affairs, faculty affiliate at the Dickinson School of Law, and a visiting scholar at Peking University’s School of International Studies. 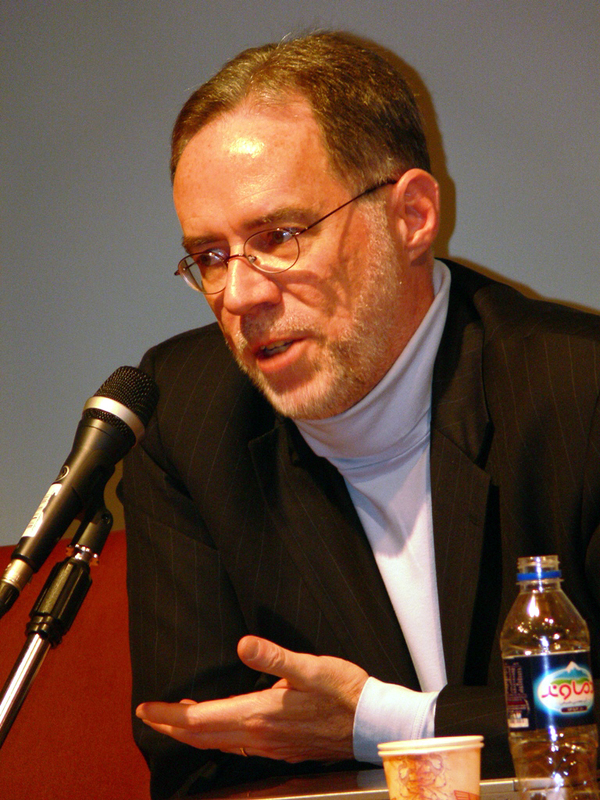 With his wife and frequent co-author, Hillary Mann Leverett, he writes www.GoingToTehran.com, a prominent forum for realist analysis on Iran and the Middle East. 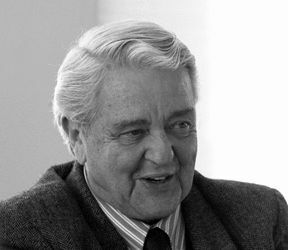 From 1992 to 2003, Prof. Leverett had a distinguished career in the U.S. Government. He served nine years as senior analyst at the Central Intelligence Agency, focusing on the Middle East. On the State Department’s Policy Planning Staff, he earned a Superior Honor Award for his contributions to forming an international coalition to fight terrorism after the 9/11 attacks and to diplomatic efforts with Libya that led to the normalization of U.S.-Libyan relations after years of estrangement. In 2002, he went to the White House to serve as the National Security Council’s senior director for Middle East affairs; he left government service in 2003 because of disagreements over Middle East policy and the conduct of the war on terror. Prof. Leverett has written extensively on the international relations, politics, and political economy of the Middle East and on U.S. Middle East policy. His latest book, Going to Tehran: Why America Must Accept the Islamic Republic of Iran (2013), is now in paperback, with a new Afterword. Before publication, Going to Tehran was excerpted in Harper’s and highlighted by Foreign Policy as a “Book to Read in 2013.” It was also the launch point for a Penn State Journal of Law and International Affairs symposium on “The U.S.-Iranian Relationship and the Future of International Order.” While controversial for many U.S. policy elites, Going to Tehran has been lauded by leading public intellectuals like Andrew Bacevich, Noam Chomsky, and Glenn Greenwald. This entry was posted in 9/11, China, CIA, Cost of War, Cyber Surveillance, DOJ, Drones, First Ammendment, Fourth Ammendment, NSA, Radio Shows, Russia, The Constitution, The Supreme Court, Whistle Blowing. Freedom of the Press under serious assault by Obama and Holder. An interview with Matt Rothschild. Is Boko Haram in Nigeria stronger because U.S.-led War in Libya Boost? An interview with Ajamu Baraka. Nearly 50,000 people have signed a petition in recent days urging President Obama and Attorney General Eric Holder to end legal moves against New York Times reporter James Risen. Federal prosecutors are threatening Risen with jail unless he reveals a confidential source. Risen has said he will not capitulate. Truthout: Conversation With James Risen: Can Journalists Protect Their Sources? The petition was initiated by five organizations: Fairness & Accuracy In Reporting (FAIR); the Freedom of the Press Foundation; The Nation; The Progressive / Center for Media and Democracy; and RootsAction.org. Ajamu Baraka is a fellow at the Institute for Policy Studies who is based in Colombia. He has written extensively on Africa and just wrote the piece “From Benghazi to Boko Haram: Why I support the Benghazi Inquiry,” which states: “Seemingly out of nowhere, Boko Haram burst into the awareness of people around the world as a shadowy group of Islamists with the ability to carry out audacious attacks that paralyzed the army of the most populous country in Africa. People now want to know the group’s origins, where they came from, why they are kidnapping girls and how they became such a powerful threat. All important questions — but questions that cannot be answered by just looking at the internal politics of Nigeria, as important as those are, because Boko Haram is incomprehensible when decontextualized from the destabilization, death and destruction unleashed across Africa from the Sahel into West Africa as a result of one historic event — the vicious NATO obliteration of the state of Libya. This entry was posted in CIA, Cost of War, DOJ, Libya, NATO, Nigeria, NSA, Obama, Radio Shows.